On Saturdays January 6th and 13th, Emanuel (“Manny”) Salazar and I led our second and third Mindful Warrior Retreats for over 25 Veterans. The experience was incredible; the open-mindedness, whole heartedness, and dedication of the Vets was astounding; and the ripple effects of this program? Unknown. On both days, Veterans came in unsure of what they had gotten themselves into. We began with breakfast, conversation, and a whole lot of laughs. Turns out a lot of Veterans have quite the trucker mouth! I was smiling from ear to ear almost the entire time. After breakfast, I led a Nutrition Lecture. In both cases, it was supposed to last an hour but stretch for nearly 2 1/2! There we so many good questions, SO much misinformation to clear up, and such a hunger (pun intended) for healthy change. Ama girl, if you’re reading this, you were such an inspiration to me with all of your vulnerability and readiness girl. I need you to know that! Following the lecture and lunch, we got down to the real business. 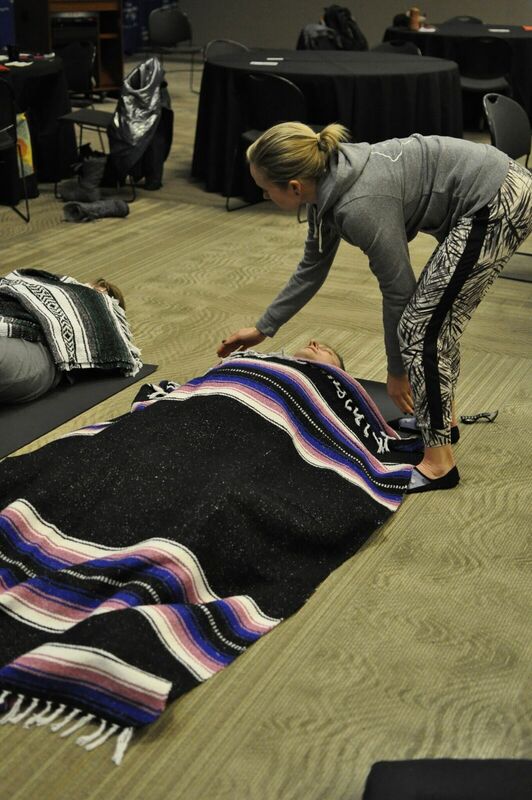 Informed by Suzanne Manafort’s empirically-proven Mindful Yoga Therapy Program, I led participants in a trauma-informed yoga class featuring meditation, pranayama, movement, and relaxation. 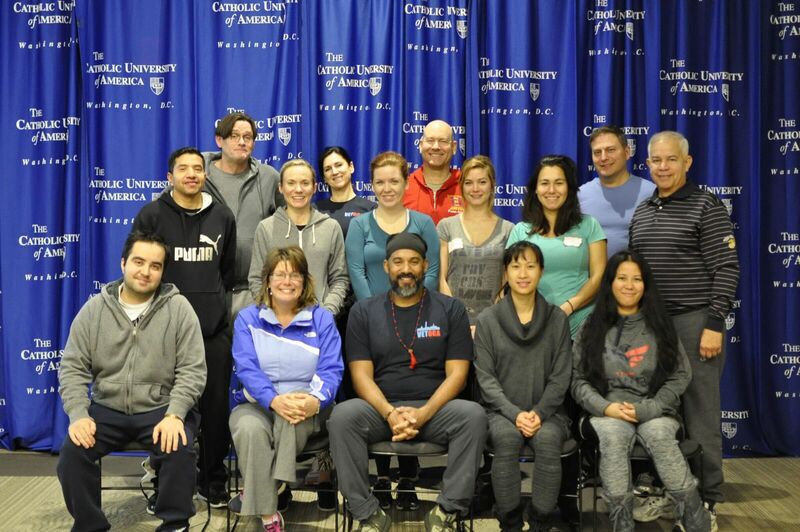 As you can see, by the end these Vets were all in on the savasana! Toward the end of the day, Manny led everyone in the most insanely calming Yoga Nidra I have ever taken. I was deep into my semi-conscious state, straight chilling, in 90 seconds flat. Many of our Vets were snoring – getting some much needed sleep given that insomnia is a very common side effect of PTSD. After Nidra, it was time for our Peace Circle and ritual closing ceremony. The stories our Veterans shared, the wounds they offered up to be let go…well it broke your heart and made it soar all at the same time. Everyone seemed palpably lighter as they got up to go. Every day more than 22 veterans take their own lives in large part because they are not receiving the support they need to heal the scars from their service to our country. Take that in for a moment. Twenty-two human beings – mothers, fathers, sisters, brothers, grandparents, cousins, community leaders, and more. The Mindful Warrior Retreat Program was founded, by veterans for veterans, in order to fill this support void through trauma-informed retreats. 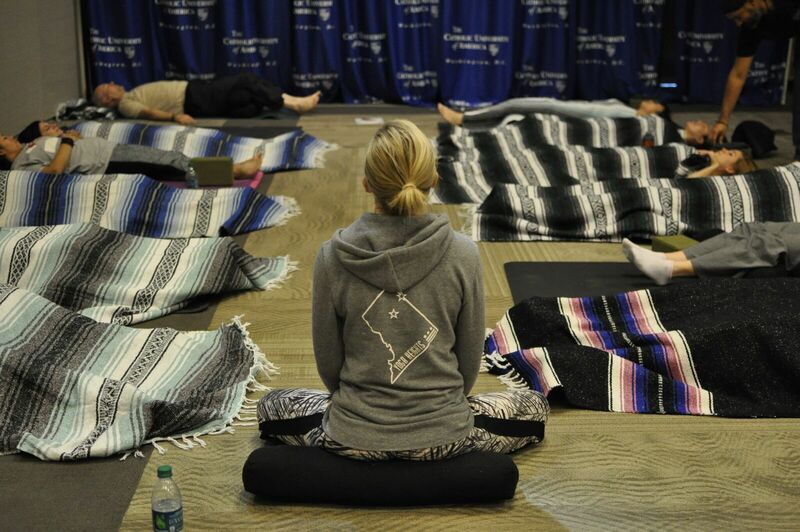 Utilizing a variety of holistic wellness modalities, the MWR program aims to bring hope and health back to thousands of veterans, their caregivers, and Gold Star Families with regular retreats that address mind, body, and spirit. We’ve got a strong start. Now we just need to keep going. To learn more about what you can do to participate and/or help please email me at amy@movewelldc.com.